iSkysoft TunesOver is the ultimate media management solution for your iDevice and Mac. Easily transfer music, playlists, videos, photos and more between iPod touch/iPad/iPhone and iTunes or Mac. 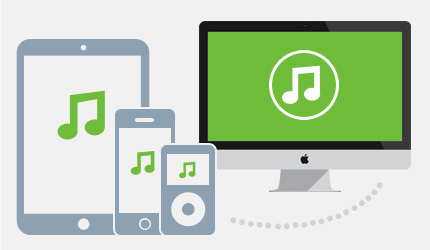 * Export Music and playlist from iPod touch/iPhone/iPad to Mac or iTunes safely. * Copy music, playlist, videos, photos, voicememo from iTunes/Mac to iDevice. * One-click backup to iTunes and manage your songs, videos, and photo albums. * Convert videos and music to iPhone/iPad/iPod touch compatible formats. * Support new iOS 7.0.3, iPhone 5s, iPhone 5c, iPod touch, iPad and iTunes 11.1.2. TunesOver provides an all-in-one solution to manage media files between Mac/iTunes and iDevices, making it easier than iTunes to browse, edit, delete, and transfer files from and to iPhone, iPad, and iPod touch. The preview feature lets you view the files prior to transferring them. So you will never get the wrong file transferred to your device. And it will never duplicate any contents you have had on your iTunes library. You can create new playlists on iPhone, iPad, iPod touch using the drag-n-drop method. TunesOver also allows you to make albums with the photos in Photo Laibray or Camera Roll.